If you have access to a hydraulic ram (like a porta-power trade name - 4-10 ton) and can wedge it in somewhere, you certainly can put enough force on it to remove it. I have had good luck that way. Before you try anything, like a portapower think about where you are directing the force. If this thing is really stuck, the portapower can do serious damage to the internal gears or bearings in the PTO. Also if the portapower is put directly to the casting on the tractor, it may crack or punch a hole in the casting if it is the weakest point. When you start applying lots of force thought is required, because the weakest point will give and that may not be what you you are trying to get off. A good run of thumb on PTO shafts is that they must install by hand force only. If they won't find out why. Hmm...the first thing that occurs to me would be that the little release button may not be doing its job. So that the locking pin or some metal from it is still laying in the channel perpendicular to the PTO splines. The first thing that I would do is to figure that if the PTO sleeve manufacturer got that button installed there in the first place then there must be some way to get it out....along with the spring and metal cylinder that it operates. Because if that locking mechanism is still in place, no force on earth is going to get that PTO sleeve off of the shaft. In the past I have had the same problem, usually when a drive-shaft with a rusty coupler was installed on the pto shaft. The easiest way (IMHO) to remove the offending coupler seems to be as follows. First, 'split' the shaft into two parts and remove everything possible of the implement. 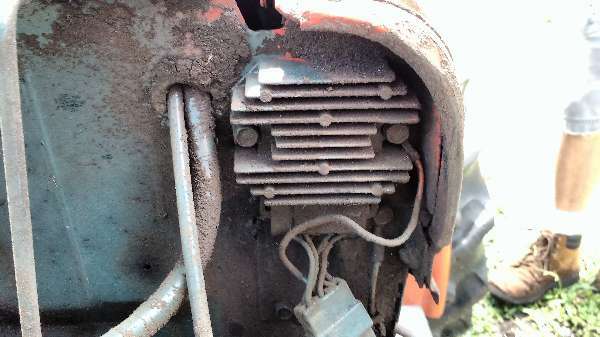 Secondly (as Roger L. so rightly stated) remove the 'C-clip' (or whatever it is that holds the lock-pin in place) and tale the lock-pin and spring, etc., out of the tractor end of the drive-shaft. Thirdly, carefully take a stout piece of rope (manilla, not nylon or polypropelene) and place two slip knots around the yoke such that you will be pulling equally from both sides. place the rope around the base of a good size tree (be sure to protect the bark from damage with an old blanket or something). Finally, VERY GENTLY but firmly 'bump' the coupler, using the lowest gear possible, by pulling against the tree using short, quick tugs. Be very careful to make sure that you stay in control at all times, avoid the temptation to 'let rip' and try to use speed, keep one foot covering the clutch at all times. If it is possible to use a tree on a gentle slope so that the tractor can be allowed to merely coast a short distance and the rope to stop it. Best of luck. Thanks for the suggestions, I'll be trying them out this week-end. I'll let you all know how I make out. I agree that the locking pin should be removed. On my compact, If I press the release too hard it goes past and will continue to lock. I simply pull on it while pressing the release. Sometimes it takes a few tries. One last thought. If simple tension won't work, tension plus a few raps with a hammer might. Especially if you don't have a straight on pull. This is probably obvious but I thought I'd mention it. Wow! It sure is amazing how easy things are when you have the right tool. I bought a 3-clamp gear puller and had the problem solved in less than 15 minutes. It took most of that time to take the universal joint apart and put it back together. I want to thank everyone for their help. I think the best piece of advice was "if it won't go on by hand, find out why" I'm sure I'll remember that one.